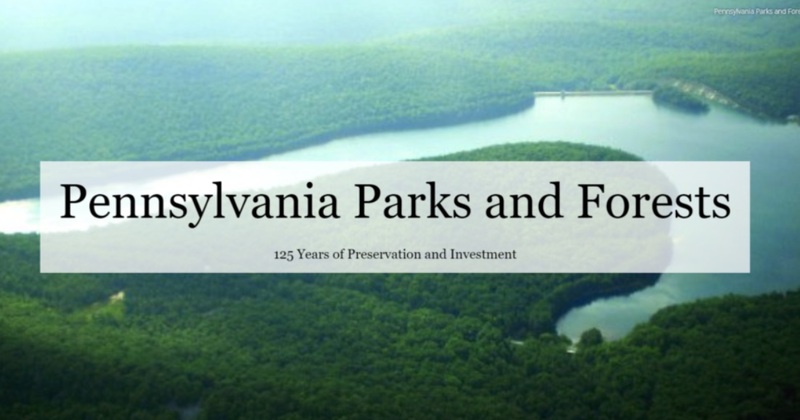 The PA Parks and Forests Foundation Monday announced the release of “Pennsylvania Parks and Forests - 125 Years of Preservation and Investment” online story map in celebration of the 125th anniversary of state parks and forests in the Commonwealth. The story map outlines the development of Pennsylvania’s public land system. 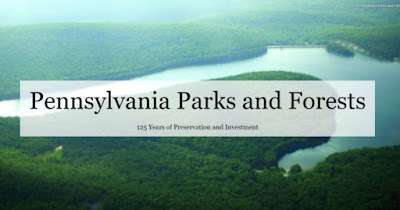 Working with the Center for Land Use and Sustainability at Shippensburg University, through a grant from the William Penn Foundation, the PA Parks and Forests Foundation and the PA Conservation Heritage Project created the story map to highlight the history of Pennsylvania’s state parks and forests in celebration of their quasquicentennial. The story map brings the history to everyone, in an easy to understand format. Click Here to visit the story map. For more information on programs, initiatives and special events, visit the PA Parks & Forests Foundation website. Click Here to sign up for regular updates from the Foundation, Like them on Facebook or Follow them on Twitter. Click Here to become a member of the Foundation.